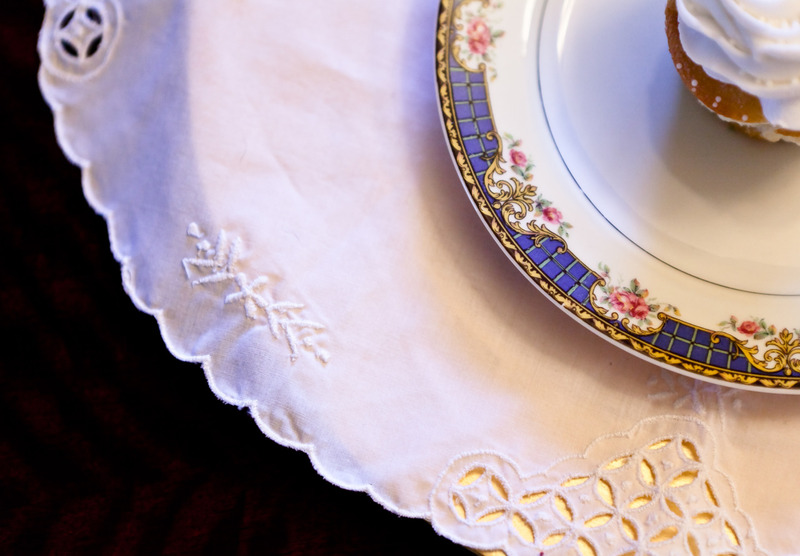 FAMILY HEIRLOOM CHINA What could be more perfect than using the family heirloom china for serving the cake? This china was so important to the great grandmother that it was one of the few possessions that she brought with her across the country to the homestead in Montana and then to the log cabin they built in Alaska. It was the fact that it had come all the way from France that made it special to her, and added a bit of civility to the wilderness lifestyle. And now it is special again. What a nice way to honor the family and include the grandparents.